Intermezzo members are professional men and women looking for a life partner to share their active lifestyle. You won’t find them on dating sites or in bars. Our members use Intermezzo not because they have difficulty meeting people but for quality introductions. They are educated, health conscious, single and looking for a serious relationship. Why would an eligible man or woman who is socially skilled become an Intermezzo member? Because these men and women don’t have time to waste looking at profiles on dating websites or dating apps like Tinder, moreover, they are really not interested in being part of these web-based singles catalogues. They take the necessary steps to achieve their goals and surround themselves with professionals like their Intermezzo Matchmaker. Will you introduce me to many people? Intermezzo’s goal is to introduce you to the right person, quality over quantity. Your portfolio will guide our matchmakers in presenting you with the best opportunity. Your experience will be much more rewarding if you keep an open mind. Intermezzo asks its members to provide feedback following each introduction. This will allow us to enhance your portfolio and fine-tune future matches until you meet the right person. 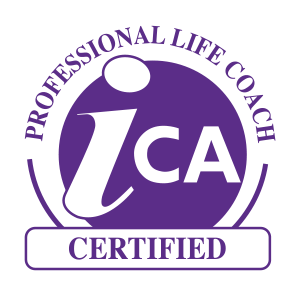 If you would like guidance, coaching or support at any time before or after a date we are always here for you. Do I have to search through a database? No, that is not necessary. Intermezzo does the work for you. 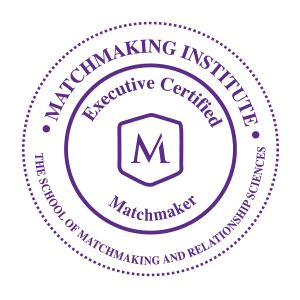 Your matchmaker preselects suitable matches based on information you supply about yourself, criteria you provide about the person you want to meet, as well as on the results from ISAN psychometric tests. What geographical areas are serviced by Intermezzo? Our service covers the island of Montreal and surrounding areas. We do take special mandates from the USA, the rest of Canada or overseas. What is the difference between Intermezzo and online dating sites? Intermezzo has been successfully matching singles since 1996. Our members appreciate the personal, professional service our matchmakers provide them. Computers cannot interact on an emotional level with people. They spit out matches based on the information they’re fed. Oftentimes that information is false. We know the power of selective, face-to-face networking. We can introduce you to the right people. People you can trust. We provide you with a confidential service, respecting each member’s request for privacy. Each introduction is personalized and relevant based on your selection criteria. No more wasting time sifting through endless online profiles no one has vouched for. In addition, Intermezzo conducts criminal background checks and screens for addiction to alcohol, drugs, prescription medication, or gambling. Can I refuse a match proposal? Yes. We make match proposals based on what we believe is a good opportunity for you, but you always have the final say. What happens if I am no longer available to date? Just let us know and we will not match you until you are available. Is it possible to revise or update my Portfolio? Yes, at any time. All you have to do is discuss it with your matchmaker. Should I give feedback following a date? Yes, your matchmaker is eager to hear from you and we strongly encourage our members to call following their dates. It is an important step in the process that provides an opportunity for you to tell us about your experience. Your matchmaker will update your portfolio with the information you provide thus fine-tuning the next match accordingly. She can also provide answers to any questions you may have. Your matchmaker will contact you to make the introduction. She provides a description of the member’s profile allowing you to decide whether you are interested in meeting the person. Profiles detail different types of information but introductions adhere to our strict confidentiality policy. You will be matched according to information you provide about yourself and the profile of the person you seek. You choose how you want to be introduced. You decide the time and place to meet. You choose what to do on your dates and which approach to take. Intermezzo is the trusted source for professional singles to meet in complete confidence. We firmly believe that protecting your personal information is vital. We will never disclose, or sell, your personal information to third parties. Fees will be explained in detail during your consultation with an Intermezzo Matchmaker. You are under no obligation and will be given all the information that you require to make an informed decision. The first step is to meet with a relationship advisor at our Outremont office. She will detail our services, outline the matchmaking process, provide you with a fee structure and answer your questions so that you can make an informed decision. The appointment can take from 60 to 90 minutes. Your assigned matchmaker will complete your profile, administer psychometric tests and prepare your portfolio. Your profile can be updated at anytime as required. What is Intermezzo’s success rate? Discreet introductions are the most effective way to meet potential partners. Our experience shows that in 65% to 70% of the cases you will want to see that person again. What happens after the introduction is made is entirely up to you. Intermezzo members are treated as responsible and independent adults. The success of a date is determined by myriad factors that affect both you and your date. They include: First impression. Attitude. Interaction. Openness. Chemistry. The first kiss. If you want to see each other again. If you are both ready for a serious relationship. If you are happy in your own skin. If you are prepared for the relationship to work. If your choice in a partner is influenced by what your friends and family say. The answer to these questions can lead to success, or failure, regardless of the person you meet. Your matchmaker will also play an important role in providing advice and coaching to steer you in the right direction. You will be introduced to compatible people and can count on us to support and guide you in this important endeavour. At Intermezzo you can expect to meet an average of four people before meeting the one with who you’ll want to build a long-term relationship. The Intermezzo method has proven successful since 1996. What are Intermezzo’s eligibility criteria? They are based on profiles our current members seek and can therefore evolve from week to week. When an individual is refused membership, it’s because he or she does not possess the characteristics our members seek. Intermezzo does not have physical requirements for membership. As a matter of integrity, we believe this approach to be fair for all involved.